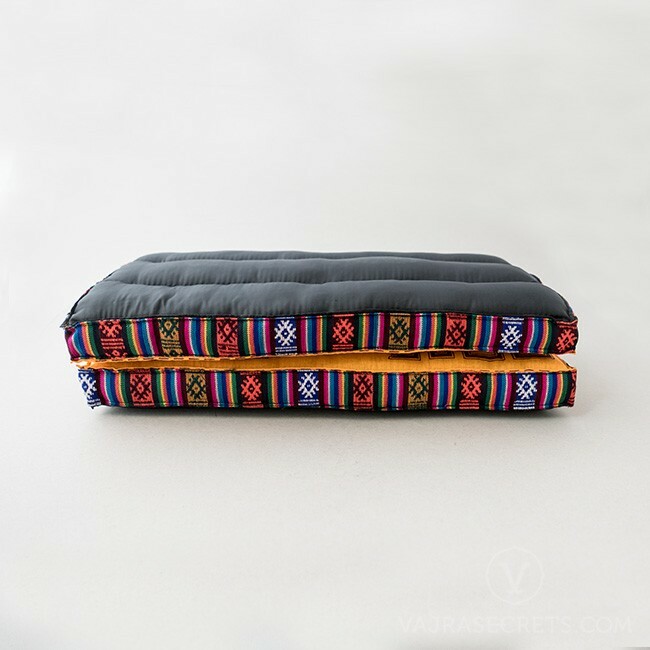 A compact meditation cushion that provides adjustable-height support for meditation and prayer sessions. 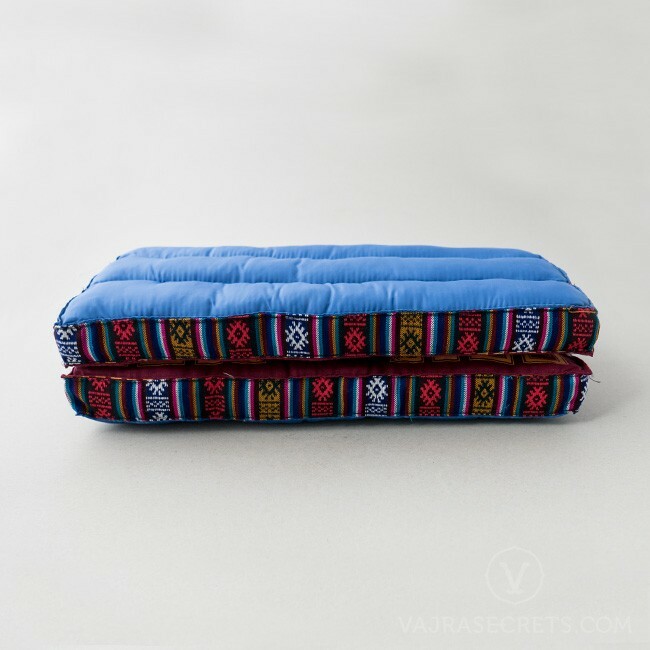 Open flat to use as a floor cushion or fold in half to raise your hips when sitting in the lotus position for long durations. 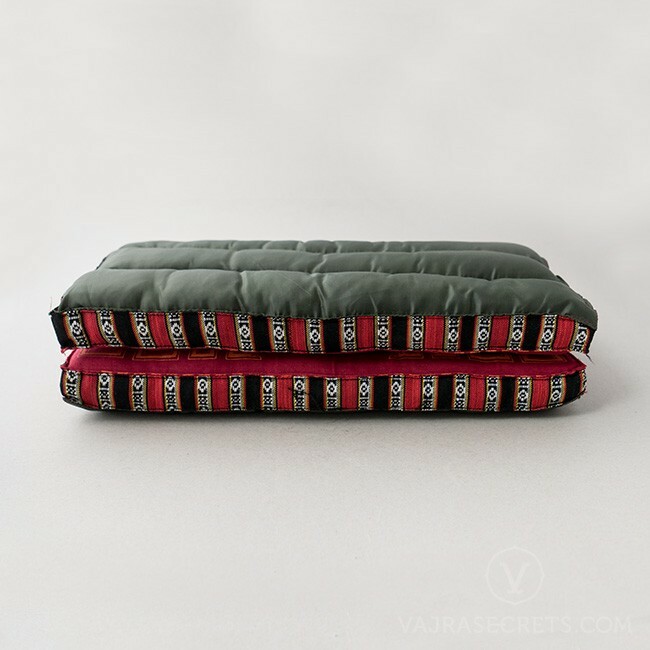 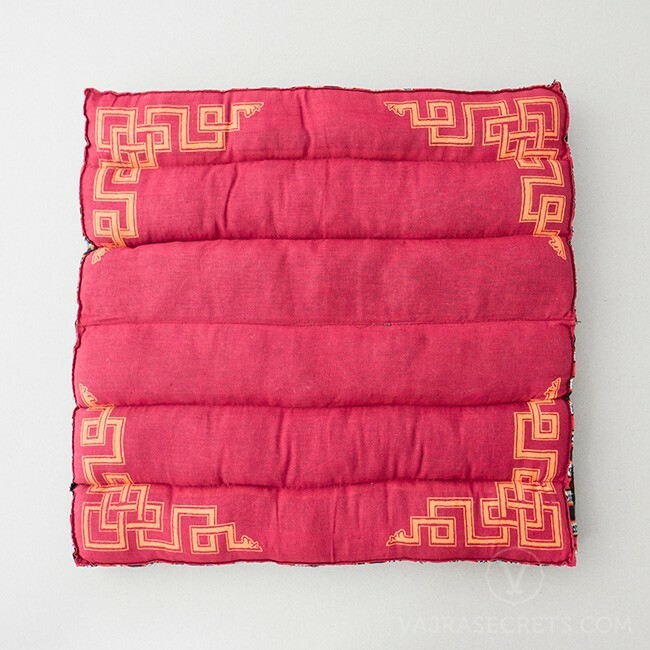 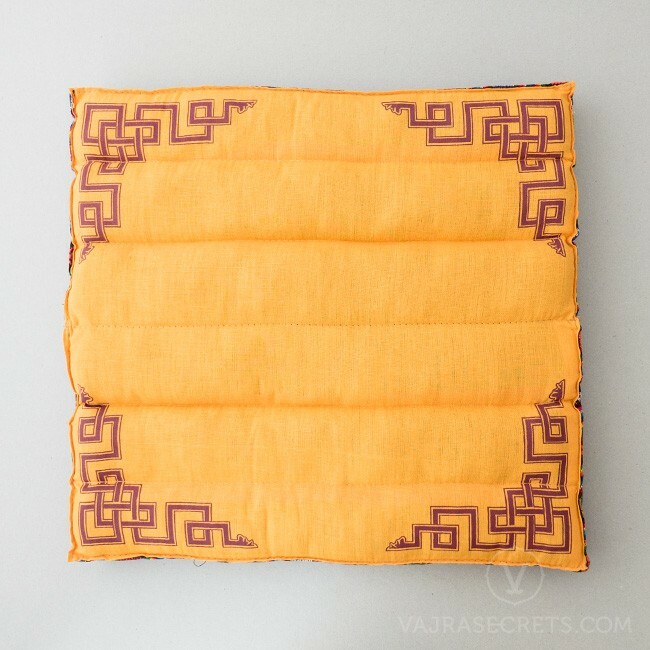 A compact meditation cushion with a woven cotton cover and nylon base for hygiene and durability. 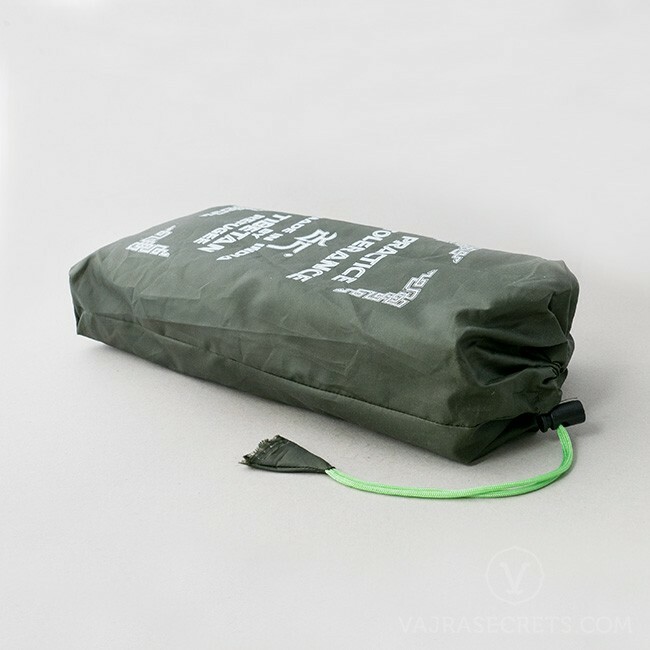 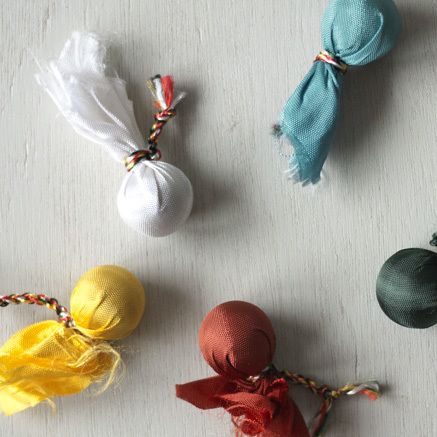 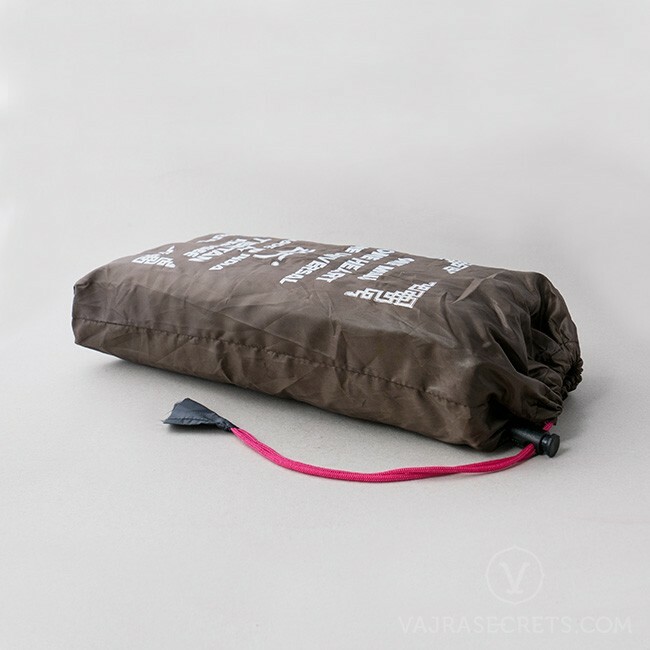 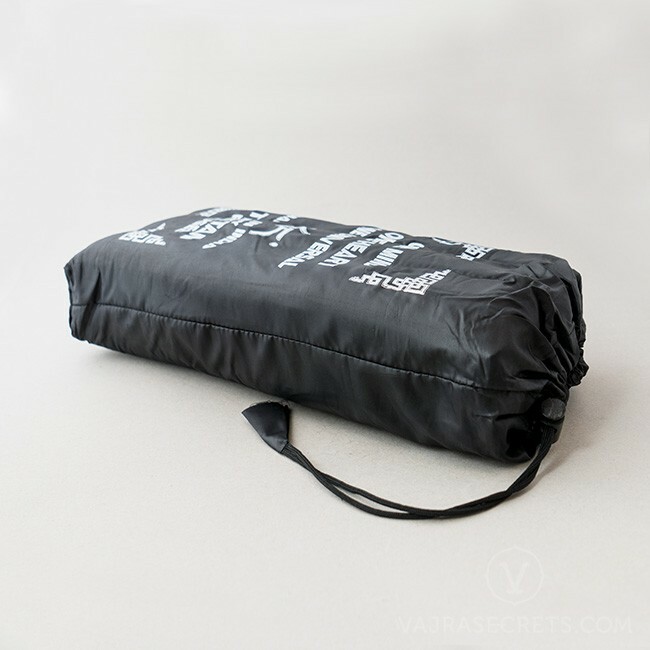 Raw cotton stuffing provides a firm yet comfortable seat for meditation and prayer sessions, while a water-resistant drawstring bag provides added convenience and portability. 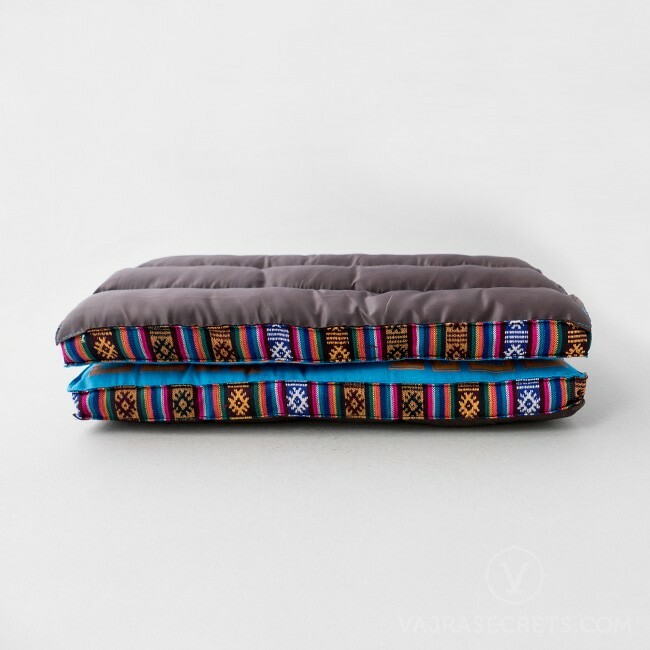 This versatile cushion provides adjustable-height support: open flat to use as a floor cushion or fold in half to raise your hips when sitting in the lotus position for long durations. 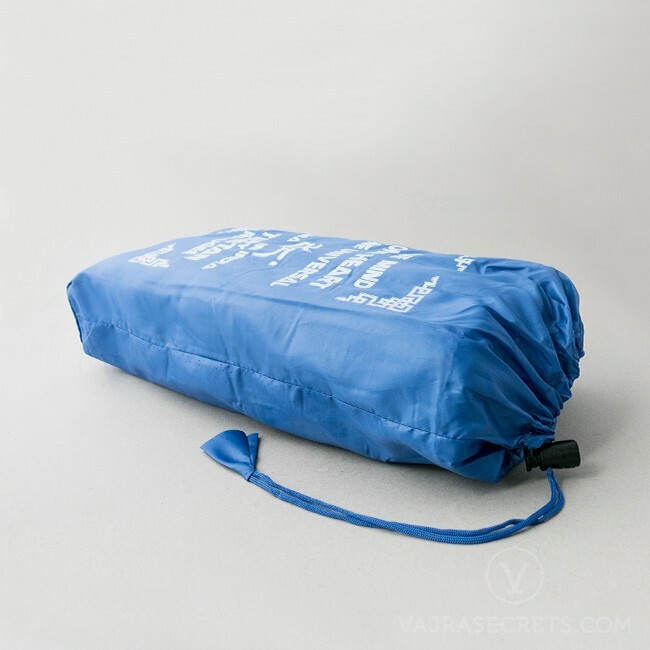 Portable, lightweight and durable, it is an excellent companion for travelling, pilgrimages and compact living spaces. 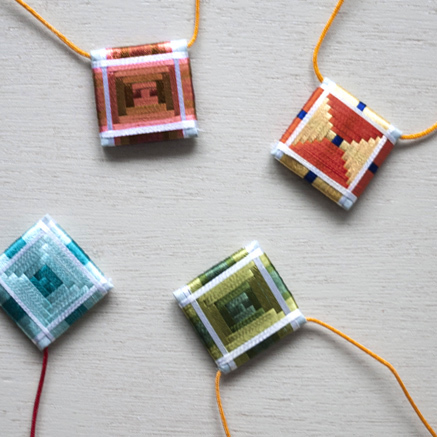 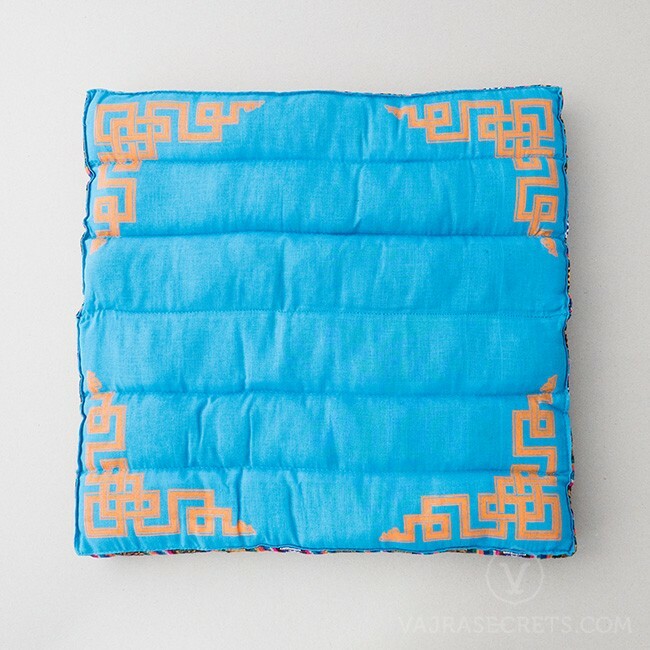 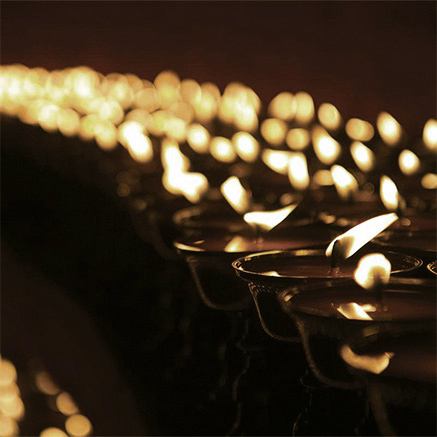 Handmade in the traditional manner by Tibetan refugees living in India, every purchase of a meditation cushion supports their welfare and adds to their livelihood. 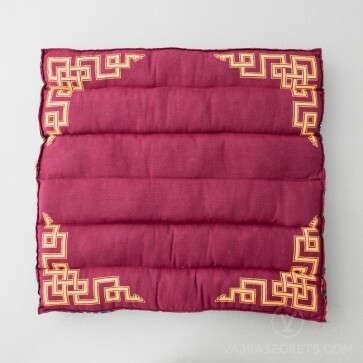 Available in a choice of maroon, saffron, turquoise or red.